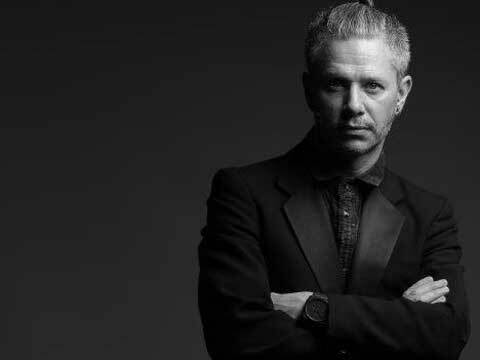 In an exclusive conversation with Wellness India, Stan Newton, Creative Director, Wella Professionals India talked about the brand’s business growth in the country, their new launch and what more to offer soon. Renowned stylist, Creative Director of Wella Professionals India, Stan Newton is a name to reckon with in Indian industry, has shared a candid moment with WI Bureau and shared a lot about the company’s growth in India, its products, technological innovation, arch rivals, new launch and more. Wella Professionals in terms of their growth, here in India, continues to be the best growth across the globe. So, India is one of the fastest growing markets across the globe. Strategically, at present, we are chasing L’Oréal, with our commitment to innovative products which Wella produces, the first ever cream colour product, many-many years ago in the early 90s. We, currently, launching a new product in India which I think is essential for the market, here in India, called ‘Illumina’, which is a very natural permanent colour which I think will compliment the clients who are still quite resistant to colouring their hair in the fear of chemicals etc,. It’s a kind of Botox for the hair. This is an innovative technology which nobody else has and this is something in a nutshell. It compartmentalizes copper, which is present in all people’s hair and what generally has, copper at times vanishes, they oxidizes and this is what happens to hair. So, with the micro light technology, it slows down the process. Therefore, the colour on the hair distorted by the terminologies of copper and therefore, the qualities of the hair is better and the luminosity and the shine of the hair are better. Initially, Illumina would be available only in the salons and brand studios. We do not have plans to enter into retail space as these are salon professionals products The Illumina products is a premium service products. Essentially, our focus is with our key accounts and in premium salons. One of our biggest customers in Delhi is Affinity (Chain Salon), so they’ll continue to support our brand really well. And in companies like The Body Craft and South India, we have strands (salon) and so on. Our goal is to make sure that from a business level, we create strong partnerships to support that belief. I would certainly say, the quality of the products, the delivery of education to our customers, people are using our products is second to none. We have our international studio here in Delhi which is incredible around 5000 sq ft. We just saw a brand new technical centre in Mumbai and the country can expect more to follow in the coming fiscal. So, it’s really exciting, the commitment and the investment, wherever we’re making, here at the moment in India. I won’t be able to comment in terms of the money. But, in terms of commitment to creating opportunity for our business partners, in the past two years, we have come up with international studio, re-launched the technical centre in Mumbai, Chennai. We’ve got at least 2-3 more coming in the coming fiscal. Our business is growing consistantly. Indeed, we’re progressing really-really well. For the current year, definitely, our main focus is colours. We are a colour house. It won’t be just Illumina, it would be all our products and I think our vision, not just in India, but globally, as a company is a holistic vision, which I think fits really well with your background (which is Wellness India). It’s not just about a client saying this, it’s about delivering an overall aspiration to what they look like, how they’re convenient, how manageable is that. Further, we’ll continue doing our educational seminars, bloggers’ event, we’ve just picked a big campaign with Vogue magazine, so am really looking for that how it would be coming out to be in October, so we’ll continue doing a lot of activities like that.